There is no evidence that money businesses played any role in the pre-Exilic era in old Israel. According to the ethos of the original Israelite society, then founded on a pronounced agrarian structure, lending was part of the assistance a man owed to his neighbor or brother in need (cf. Deut. 23:21). But during the Babylonian era Jews were prepared to take over the Israelite and had greater opportunities to come into contact with experienced Turkic Persian lending practices and to participate in credit operations. After the Exile, money businesses became common in the new Jewish land. 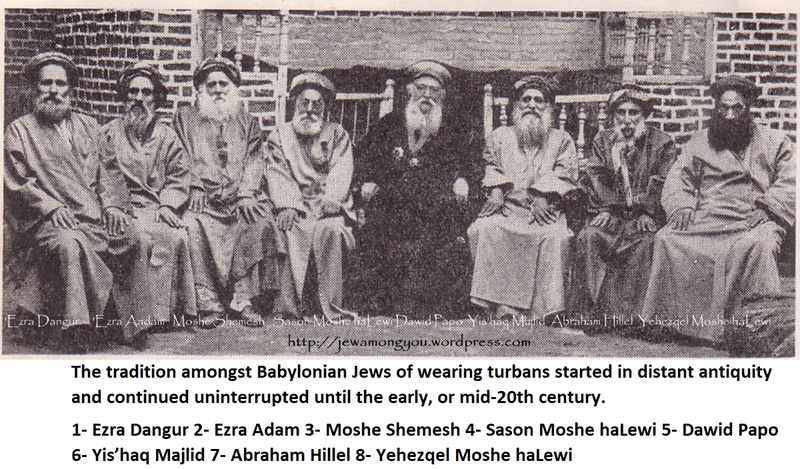 Meanwhile, the most important Jewish community of Babylonia , were given an impulse toward a new way of life by the longstanding traditions of a capitalist type of economy existing around them. In Babylonia, Jews engaged in financial transactions: some were farmers of taxes and customs, and the wealthiest of them were landowners. However, Talmudic references show that the standards of an agrarian economy were still dominant and therefore gamblers and usurers were not thought trustworthy witnesses. 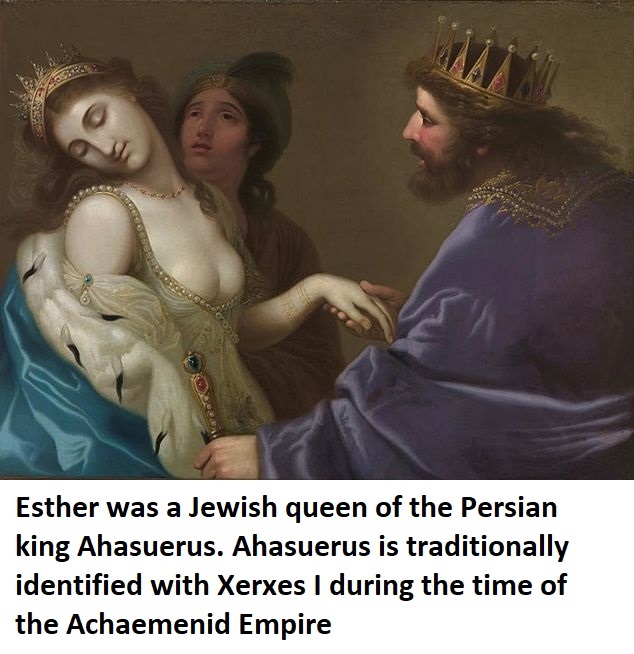 Another important Jewish colony was to be found at Alexandria , center of the trade between the Mediterranean and the Arabian and Indian world, where Jews were engaged not only in commerce and international trade but in moneylending too. According to Josephus , a Jewish tax agent was able to make a loan of 3,000 talents. The alabarch Alexander Lysimachus, who loaned King Agrippa I 200,000 drachmas, was also the steward of Antonia, mother of Emperor Claudius. Another Alexandrian Jew was treasurer to Candace, queen of Ethiopia. 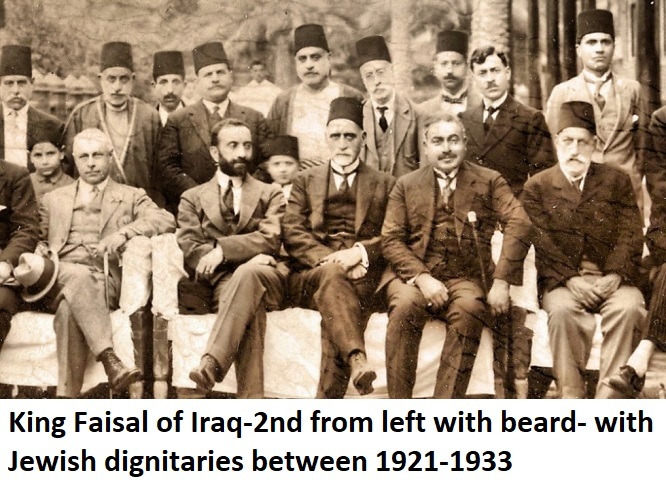 With the rapid development of city life and commerce in the Caliphate of Baghdad from the late eighth century and the transition of the majority of Jews under caliphate rule from agriculture and a village environment to the cities, banking became one of the occupations of some upper-class Jews, especially in Baghdad and later under the Fatimids (from 968) in Egypt. This Jahbadhiyya, as it was called, was a form of banking based on the savings and economic activities of the whole Jewish merchant class and not only on the fortunes of the very rich: the bankers loaned to the state and its officers money deposited with them as well as from their own fortunes. The vast sums at the disposal of these Jewish bankers and their relative immunity from confiscation by the autocratic authorities both tend to confirm that these Jewish “court bankers” from the beginning of the tenth century onward were well-known to their Muslim debtors as a kind of “deposit banker” for Jewish merchants. Under the Fatimid caliph al-Mustanṣir the brothers Abu Saʿd al-Tustarī and Abu Naṣr Ḥesed b. Sahl al-Tustarī (both died in 1048) were influential in the finances of Egypt. With the rise of Saladin and the foundation of the Ayyubid dynasty in Egypt (1169), the position of the Jews deteriorated but they were able to continue their money changing activities at least. Toward the end of the Mamluk period (1517), Samuel, a moneychanger in Cairo, must have possessed considerable wealth, for the Arab chronicler Ibn Iyās tells that the sultan extorted from him more than 500,000 dinars. During the Muslim rule on the Iberian peninsula, Córdoba Jews were active in the financial administration in the tenth and eleventh centuries. This period shows a highly developed money economy existing before the First and Second Crusades. In the Middle Ages, the Church, in a misapplication of the Biblical prohibition against charging interest, forbade interest in all instances. The Talmud, in contrast, created an economic system in which loans could be converted into investments, so interest could accrue from them, but under the Christian interpretation, no credit market was possible. The way the Church got around that was by forcing the Jews to become the bankers. Back then, though, they were called “money lenders,” which is a much more pejorative term. “Banker,” at least at one time, represented a term of honor. Jews were sought out by their rulers in the early days of exile in Europe. The Roman armies marching north in Europe, along the Rhine river, encouraged Jewish money lenders and traders to accompany them. They were the founders of the earliest Ashkenzic communities, such as Mainz, Speyer, Worms, and Trier. Individual Jews managed to carve out niches of influence within the upper echelons of Muslim and Christian society. Invariably this resulted from their commercial acumen or access to the ruler. The template for the Court Jew is nearly as old as the Jews themselves. Mordechai succeeded Haman as vizier to Ahasuerus, the King of Persia. Yehuda Ha-Nasi (c.135-220) was a confidante of Roman Antonine Emperors. Later, Jews became faithful allies to the first Ummayad Caliph, Mu’awiya. In 797 Isaac the Jew represented Caliph Harun al-Rashid in negotiations with Charlemagne. Between 880 and 930 the jahbadhiyya, (wealthy Jewish bankers), gained enormous influence with the Abbasid Caliphs of Baghdad. In Spain c. 950, Hisdai ibn Shaprut was appointed counsellor to the Caliph Abd al-Rahman III. The Cordoban commentator, poet and nagid (chief) of the Jewish community, Samuel ha-Nagid (Ismail ibn Nagrela, b. 993) was Granada’s vizier and military commander for 20 years. The formerly anti-Jewish Christian rulers of Spainalso came to rely on Jews. Joseph ibn Ferruziel, called Cidellus, advised King Alfonso VI of Castille. Alfonso VII made Judah ibn Ezra commander of Calatrava in 1147. Several Marannos (crypto-Jews) became politicians, such as Thomas de Souza, first governor of the Portuguese colony of Brazil in 1549. Daniel Rodriguez founded the Balkan port of Split at Venice’s behest. Samson Wertheimer (1658-1724) was a rabbi, financier and Court Jew under Leopold I. He was one the original founders of the Viennese Jewish community in modern times. 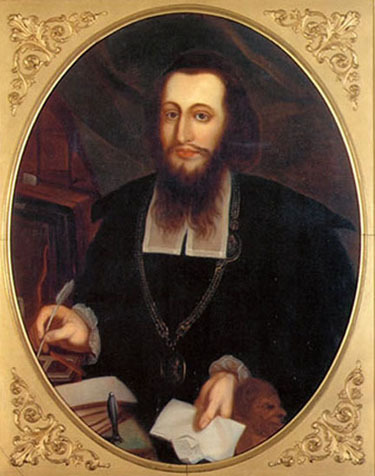 In 1577 the Hapsburg Emperor Rudolph II appointed a Prague merchant, Marcus Meisel, as Europe’s first modern court Jew. Meisel advised Rudolph, financed wars against Turkey and built amenities for Jews throughout Europe. Samuel Oppenheimer (1630-1703) created a dynasty of court Jews. Yet the fate of one descendant, known as ‘Jew Suss’, shows the precarious nature of their power. Suss lost his patron, was charged with subversion and hanged. Life was more secure for Court Jews under Ottoman rule. Don Joseph Nasi became a pivotal figure at the 16th century Porte. He was made Duke of Naxos. His wife, Dona Gracia, facilitated the return of Jews to Tiberias. Saleh Sassoon of Baghdad was chief treasurer to the pashas (provincial governors) from 1781 to 1817. Several baptized Jews achieved success in 19th century Europe. Benjamin Disraeli was Conservative Prime Minister of Britain in 1868 and 1874-80. As civil society progressed, Jews entered politics in their own right. These included Adolphe-Isaac Cremieux, Justice Minister and leader of France’s 1848 Revolution; Walter Rathenau, Foreign Minister in Germany’s Weimar Republic; Leon Blum, first Socialist Premier of France (1936-7); many early Bolsheviks; and Henry Kissinger, US Secretary of State in the 1970s. The political experience Jews gained in gentile courts and assemblies prepared them for self-rule in 20th century Israel. Yet they learnt the most valuable lessons within their own Jewish autarchies. Jewish money lending worked as follows. The Count or nobleman of the town would loan money to the Jew, and the Jew in turn would loan money to the non-Jewish peasants. The Jew became the middleman, which was a very dangerous position. The interest rates were usurious in those times – 30% or 40% – so the peasants had a hard time paying anything back. And if the Jew didn’t collect the money, the nobleman would kill him. Therefore, the Jew had to have a large spread in the middle in order to be able to cover his losses and still make a living. German Jews came to their full bloom in the years shortly after the 30-year war, when the Germany of the monolithic “Holy Roman Empire” fell into three small duchies and municipalities, each with financial worries and needs for financing. The local dukes and princes would reach into the ghettos of Germany to select skilled Jews with proven ability to manipulate money. Some of these rulers had insatiable appetites for money — to be used on their lavish courts, their military campaigns and repayment of old debts. This need created the position of the Court Jew, occupied by an exceptionally fine class of Jews who excelled in finance but also in their concern for their suffering and oppressed brethren. Some of the finest Court Jews were Oppenheim, Wertheirmer of Vienna and Behrend Lehmann of Halberstadt in the 17th century. Without them, German Judaism would have died out. They also laid the foundation for the great banking families of the 18th century. As an example, Behrend Lehmann who had achieved the position of virtual Minister of Finance to the King of Saxonia, established far-flung branches of his business with sons and nephews manning offices in various European cities. Lehmann’s example was copied by the Rothschilds a few decades after his death. By distributing five sons — to Vienna, Paris, London, Naples and Frankfurt — the founder of the dynasty, Moshe Amsehl Rothschild, established one of the most powerful financial empires the Jews ever possessed. But the Rothschilds were not alone in achieving banking greatness. In the 18th century, there was a Jew in Frankfurt Am Main by the name of Mayer Amshel Rothschild. Like many other Jews, he was a money lender, except that among his debtors was the Duke of Bavaria. Rothschild came up with a brilliant idea. He had five sons, so he sent each one to a different country. One went to London, one went to Paris, one went to Vienna, one went to Naples, and one stayed with him in Frankfurt. That created what we today call “international banking.” Until then, if you wanted to send money from Germany to England, how would you exchange the currency? Who in Germany trusted someone in London to do this? The same principle that the Sephardic Jews used in trade, they brought to the next level in a world whose economy had become far more complex. Because of the trust between the brothers, the Rothschilds created an international banking system, and within a century, they were among the wealthiest families in the world, and they remained so until the Nazis confiscated everything they had. They have since rebuilt themselves, but never to what they once were, relatively speaking. But that became a new concept in the world: that you could have a banking company in Switzerland with offices in New York, London, and Paris, and everybody could do business that way, crossing international borders. There is a legend told that on the day of the Battle of Waterloo, Nathan Mayer Rothschild came to the floor of the London Stock Exchange, leaned against a pillar, and started selling. It was well known that the Rothschilds had their own independent sources of information and intelligence, and nobody knew the results of the battle, so when he began to sell, everyone thought that England had lost, and they began selling, too. That forced a panic in the market. As much as 15%-20% of the value of the stocks fell in about three hours. And after they had fallen so low, Rothschild turned around and began buying. It is said that he knew all along that the Duke of Wellington had defeated Napoleon and that the British market would go up. And when the official news came the next day that the British had won, the market went up 1000 points, making Rothschild even wealthier. It is reputed that on that coup alone, a substantial amount of the Rothschild fortune was made. That legend has been used against the Jewish people because somehow it doesn’t seem fair. 2) As for what you say about the command to despoil you of your goods: make your sons merchants, that little by little they may despoil the Christians of theirs. 6) Do not swerve from this order that we give you, because you will find by experience that, humiliated as you are, you will reach the actuality of power. Constantinople Elders of Jewry, signed V.S.S.V.F.F.Prince of the Jews, 21st November, 1489. This letter was reprinted in Revue des estudes Juives Paris France 1889. The newspaper, Revue des estudes Juives, was financed by James de Rothschild (Jakob Rothschild) a Jew, who managed the Paris branch of his father’s European banking empire.